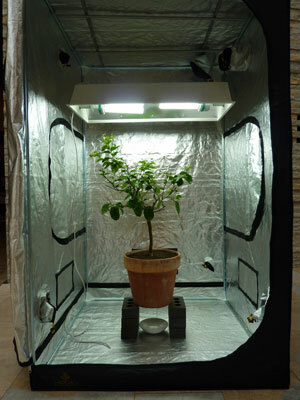 The Lemon Tree is both a singular and distinct work and the final phase of the Noah laboratory project. 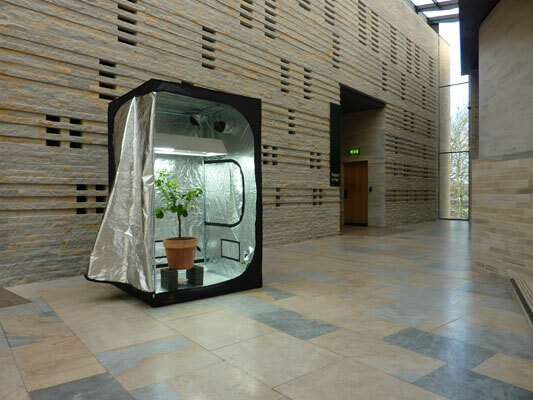 The Noah Laboratory project emerged out of a residency at The Collection Studio, Lincoln, from January to April 2008. During the residency I conducted and documented a series of transactions with members of public in the High Street. These centred on a set of questions, and a number of gifted objects, reflecting on man’s relationship to nature. The project evolved from my experience of travelling each day by train through the Lincolnshire landscape. Moving through the landscape from Nottingham to Lincoln was a time of reflection. The big skies and the ever changing landscape often constructed from agricultural work and processes acted as a generator of thought for my residency. It was during one these many journeys that I began to realise that the final phase of the ‘Noah Laboratory’ was to configure a work that, actually and symbolically constructs a soil from both my essay ‘from my garden’ and from the images of the transactions I had been doing in the high street of Lincoln. In this manner, the paper becomes both a reflection on the construction and meaning of such a soil and the principal component of it. Subsequent to the residency I collected the images and my writings in a newspaper which was distributed by volunteers around Lincoln and Nottingham during the exhibition with the discarded papers being collected and returned to the gallery for recycling. The installation in the gallery, running from January 31st to March 3rd 2009, progressively turn pre-read copies of the paper to compost, creating a changing experience for visitors as the project continues. This process served to extend the reach of the project, linking the sites of the residency back to the gallery, and bring it full circle as the work produced is returned to earth. The resulting unique soil, containing ideas and images that both reflected and integrated the processes of the project consisted of some 85% paper. The final phase of the project was to select a plant to grow in the soil. 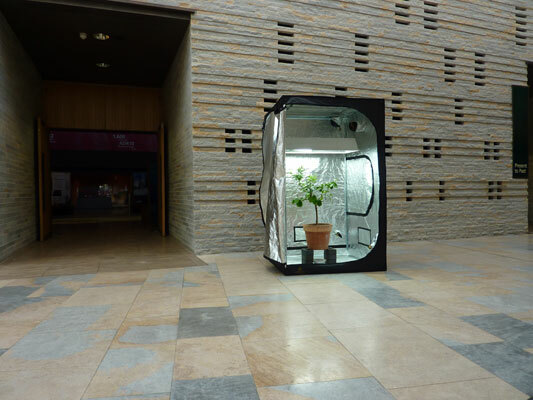 The plant, growing in the constructed soil, would be presented to the Collection as a permanent art work. The plant was a lemon tree. 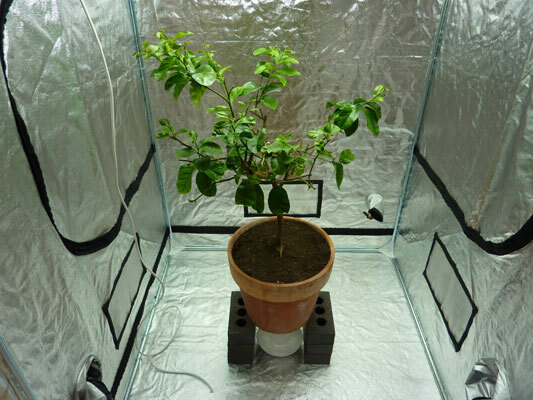 On the afternoon of the 24th of March I had been in a design meeting with Jonathan Casciani, and mentioned that I was considering a lemon tree as the plant to grow in the Noah Laboratory soil. Later that evening I received an unexpected call from Jonathan who was shopping at Homebase and had found a lemon tree. It was between two and three feet high with two fairly ripe lemons hanging from it. We were surprised at how easy it was to purchase a ‘readymade’ lemon tree from a DIY store, imagining it to be resident in the more exotic climes of the Mediterranean. After a moment’s thought, I asked Jonathan to buy the tree, the economic exchange providing the basis for a new and more fertile ground of artistic and ecological value. After a 12 month period of learning about the relationship between The Lemon Tree and Me I have presented this ‘living composition’ to the Lincoln Collection as a permanent work. Later in 2010 I hope to publish the book The Lemon Tree and Me. This book is a written and visual account of this intense period of time (March 25th 2009 – March 25th 2010) that records the relationship between The Lemon Tree & Me; a relationship of meaning and materiality that constructs, cultivates and reviews a poetics of responsibility invoking an intelligent ecology based on values which are immanent in the complex workings of nature.